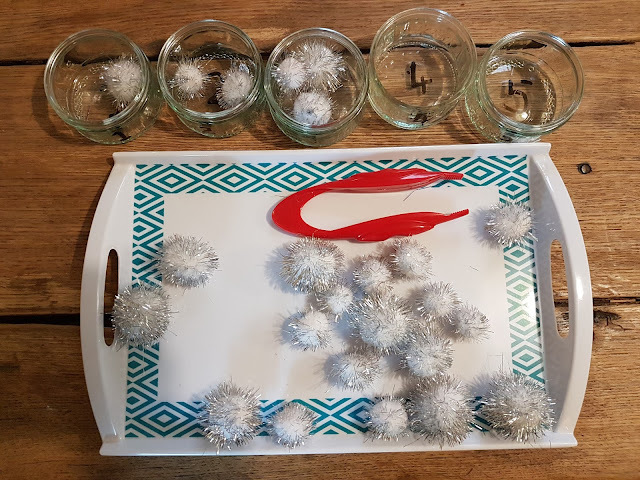 We are using white pom poms as counting manipulative’s for this activity and jars with numbers written on them, placed in sequence. 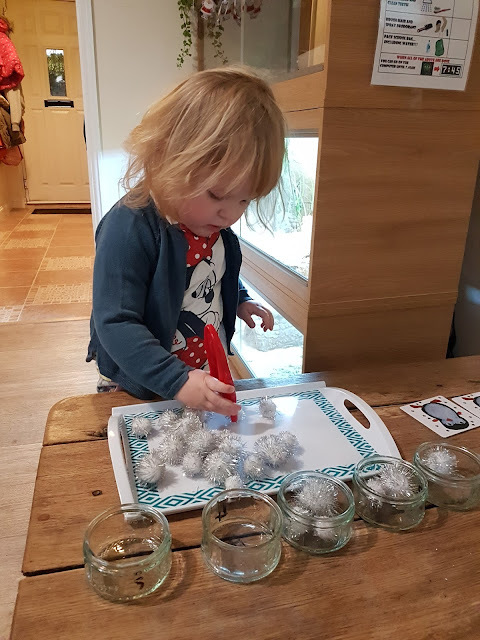 We then count the correct number of snowballs in to each jar. I added the tweezers for a an extra bit of fun and to work the finger muscles at the same time. To extend this activity further you could sort the snowballs by size. Small, medium and large. ASSESSING SHAPE RECOGNITION KNOWLEDGE THROUGH PLAY!